After much soul searching and filtering out all the nay sayer advise, you decided to put in that 1 hour of overtime with your own business. That's fantabulous!! Making this life changing decision means the main battle is over. Now you can give yourself a raise any time you want. You only have to put in a little extra effort with your own business. 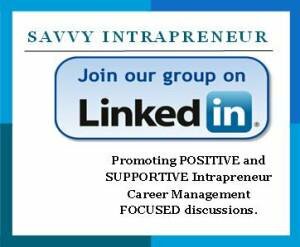 It's the finest hour of being a true Savvy Intrapreneur. Now you're in "marketing mode" to spread the word to people about your business. Although you're excited and want to tell the whole world, be gingerly about mixing your business with your career business at work. Your best friends at work, could become your worst nightmare. Why? Crabs in a barrel syndrome. Instead of being happy for you and asking how they can help, right away people may think you're making more money them AND getting ahead of them, faster, in creating a better life for yourself/family. Not good. Just be careful who you speak to at work about your part time business. Consider offering those you really trust a commission for referrals. This puts them in check, because you now have someone who will make money on the side, if they help you make money. It's a win-win situation. It also insures their allegiance in keeping your secret at work. If they tell, they lose money too. Your new venture also benefits your employer. No waay. Yes waaaay. Your whole oulook with your employer will change in a major positive way. You will be more upbeat and positively energized. Disagreements at work won't be that important. 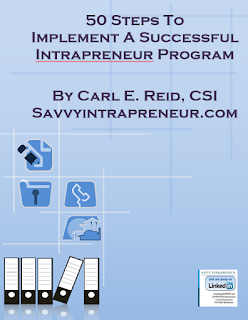 Your day will go smoother and you will be more productive, because you are empowered with your own business. Due to budget cuts, the Boss can't give you a raise. So what? You can give yourself a raise, with your business. You won't be angry or upset when she/he says "no can do" on your raise. Any flakey excuses are inconsequential. You own You!! Aren't you a special person to the company you work for? Your positive attitude will become contagious. When people ask you at work "how are you doing?" you say "fantabulous" or "great". This strange phenomenon increases your self worth, while increasing your employer's bottom line. They now have a happy employee. Hoo Wa!! P.S. - putting your own business name and your role, is OK to put on your resume.